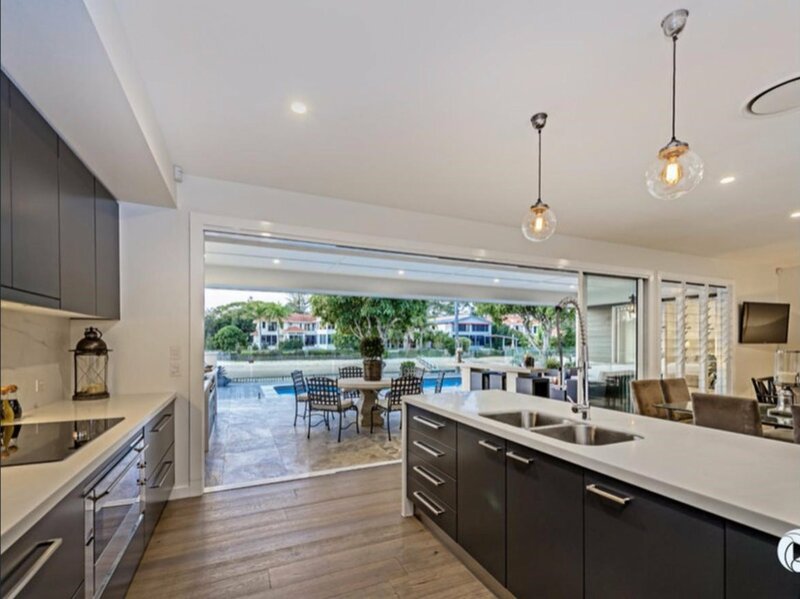 Located in Broadbeach Waters, Casa Royale is a canal front Gold Coast holiday home with 4 bedrooms and 3 bathrooms - a great choice for extended families and groups of 8-10 guests. 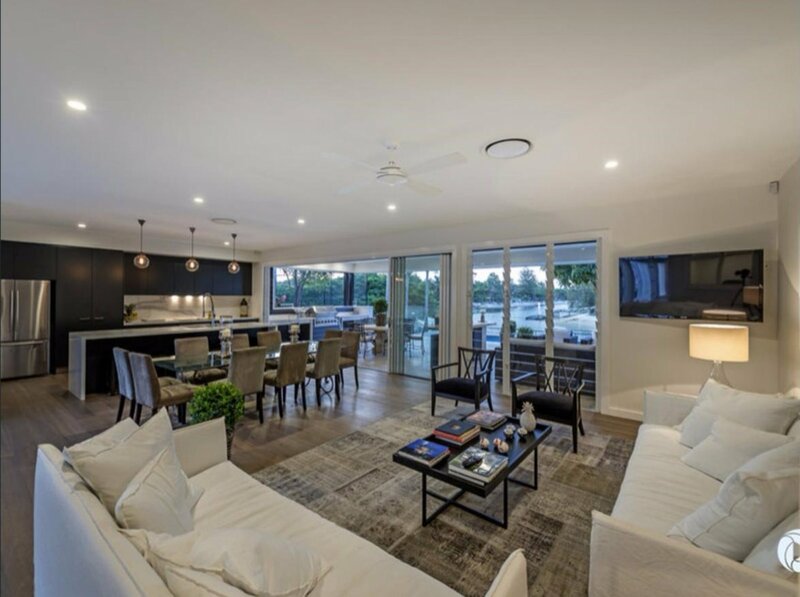 Spend quality time together in the open-plan living/dining area which puts all the accommodation on one level – ideal for children and the elderly. Step outside through fully-retractable bi-fold doors to enjoy scenic canal views from the outdoor lounge and pool deck. 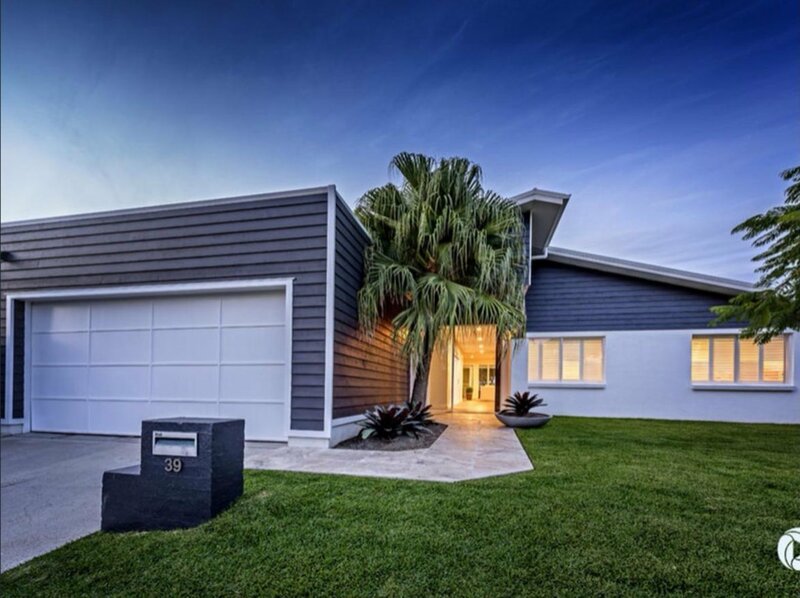 Full air-con and garage parking complete the appeal. Wander seamlessly from the island kitchen and lounge to the outdoors for an alfresco lifestyle. 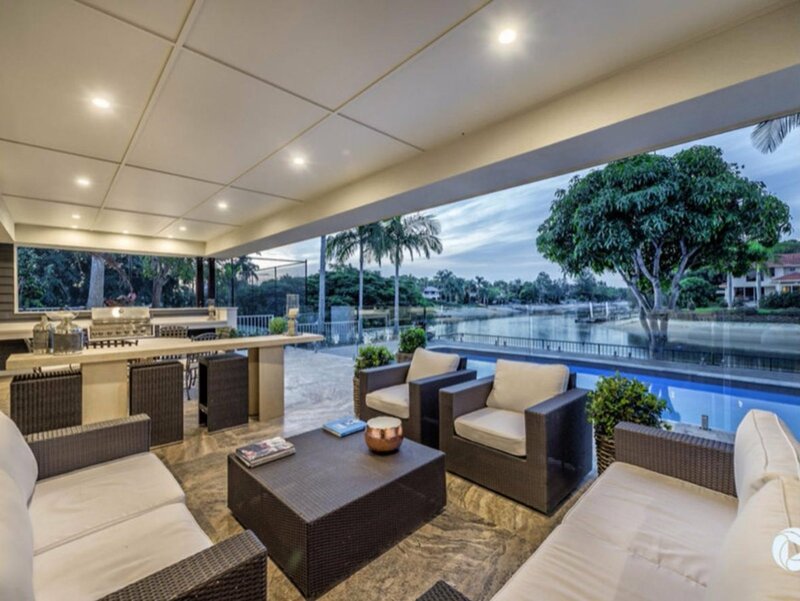 Chill out with the very best waterfront views from the stunning pool deck and enjoy outdoor living area after dark with a BBQ on the fully furnished terrace. Families can look forward to days on the sandy surfing beach or browsing the 400+ stores in Pacific Fair, all just 2km away. Relax with the family in the spacious open-plan Great Room and appreciate the contemporary feel created by stylish modern furnishings and tasteful décor in neutral shades. 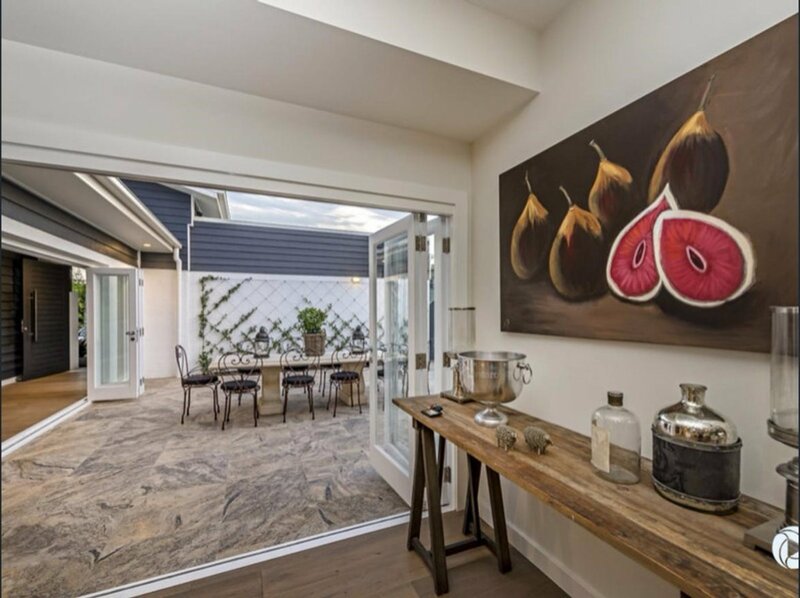 Beautiful tile floors provide a seamless unity between the open-plan living, dining and kitchen areas. Gather around the large screen TV watching Netflix with the doors wide open. It provides beautiful views of passing boats, especially when lit up after dark. The island kitchen makes food prep a pleasure for evenings at home together. There’s a full range of modern appliances and storage. Gather around the island breakfast bar for pre-dinner drinks and canapés and include the designated chef in the social chatter and merriment. 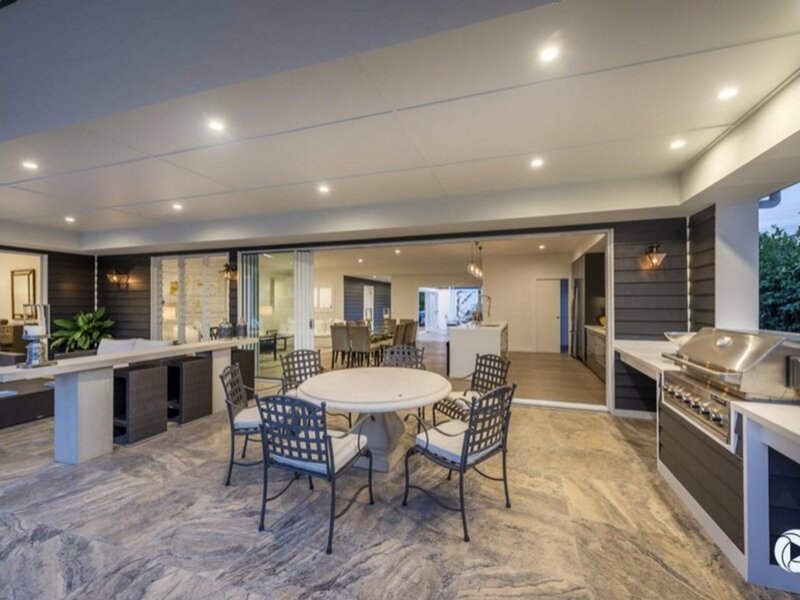 A leisurely dinner can be anticipated around the dining table for 8, or take the party outdoors where a second dining table and full outdoor kitchen await. 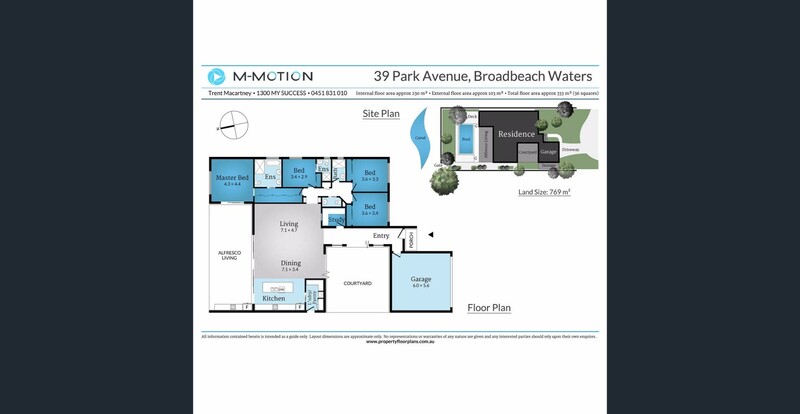 The master bedroom has prime waterfront views and an ensuite bathroom while 3 further bedrooms share 2 modern family bathrooms. Start the day on the terrace sipping a complimentary breakfast Nespresso in the outdoor lounge area which boasts comfortable armchairs and a cushioned sofa. 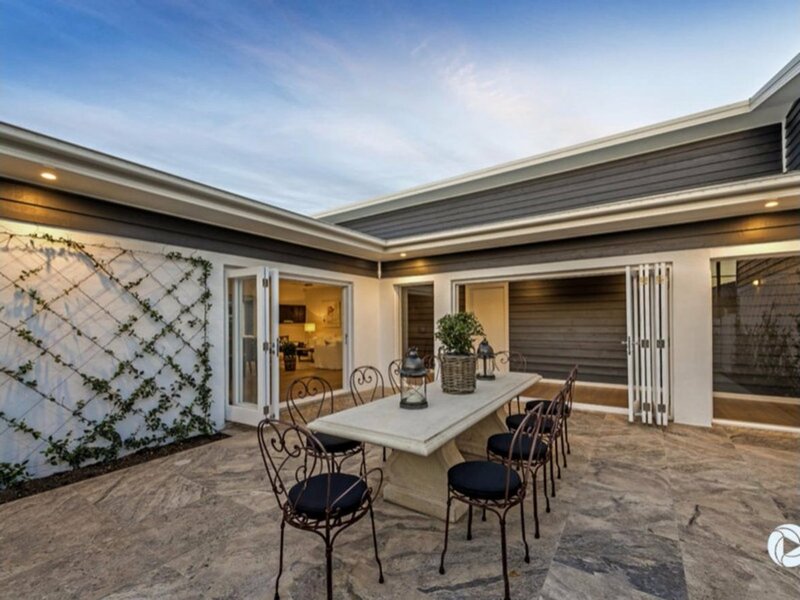 The fully equipped outdoor kitchen with BBQ and dining table all overlook the peaceful canal – the ideal place for late-night chatter and storytelling. Off-street parking includes garage parking for 2 cars. 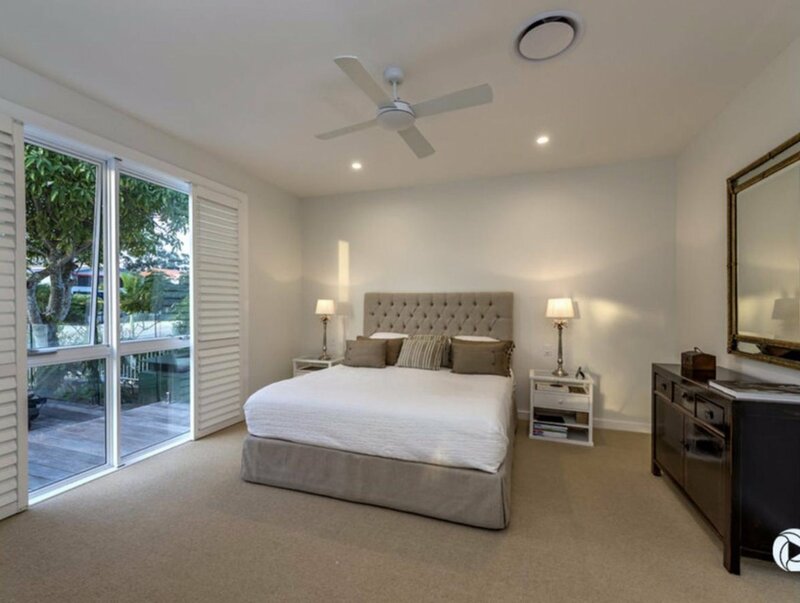 Perfect for extended families, this well-located Gold Coast holiday rental is in the sought-after area of Broadwater Beach, just 2km from the sandy surfing beach and Star Casino at Broadbeach. Stroll to the popular Grocer and Grind Café nearby for brunch and let someone else do the cooking and shopping while you take life easy! Indulge in some retail therapy at Pacific Fair, 2km away. Closer to home, the local shops, restaurants and transport are about 1km away. Markets, yoga, arts and crafts and street art make up this lively area while the high-rise apartments and Skypoint Observation Deck at Surfers Paradise are 6km away. 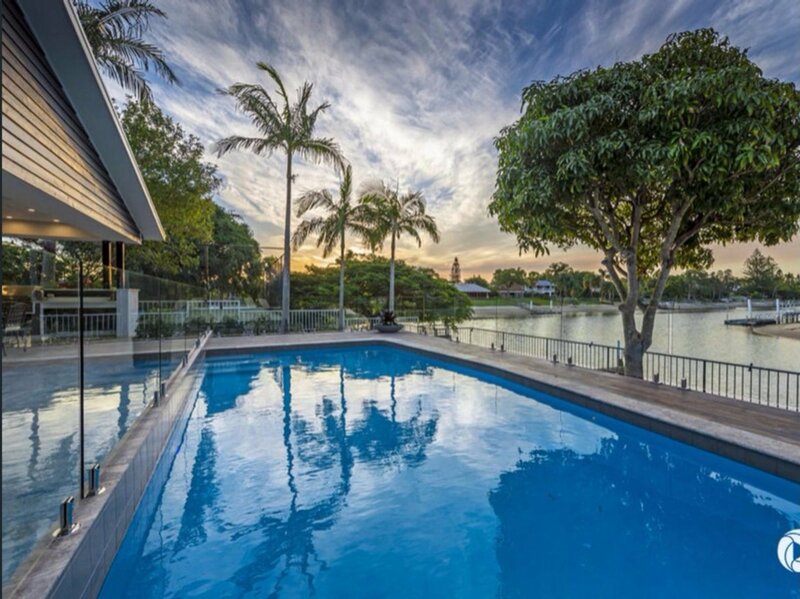 Guests will find the Gold Coast Airport a convenient 25km away and Brisbane International Airport is 90km distance. 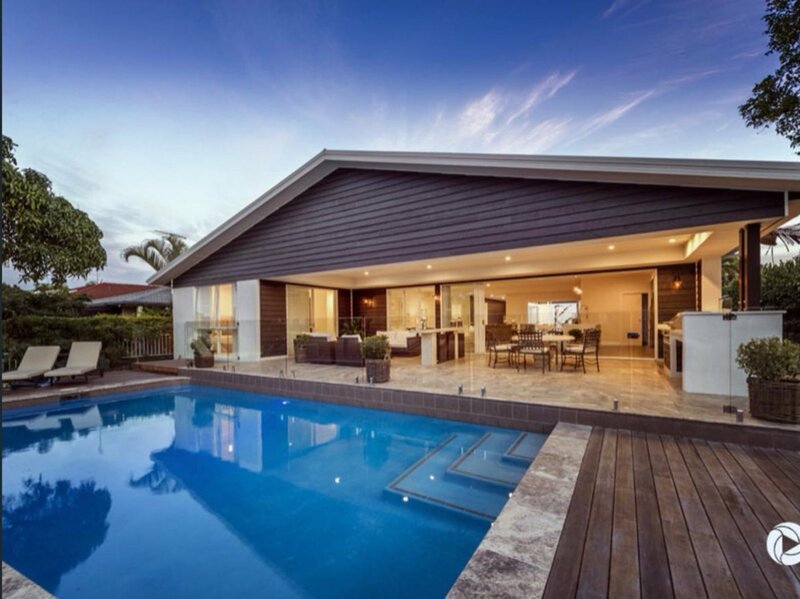 Casa Royale is the perfect Gold Coast holiday home for larger families and wedding parties. The outdoor lounge and pool overlooking the canal will be the highlight of your stay. Casa Royale is a very beautiful home with a lovely outlook. We were unfortunate to have picked a bad week weather-wise (lots of rain and windy) and spent most of our time relaxing at the home, shopping or at various restaurants and cafes. The house was clean, spacious, quiet and central. We highly recommend and would definitely re-visit!